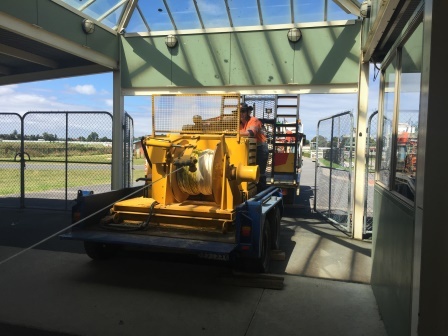 All Trenching & Boring Services has the capability and experience to winch large and small cables including HV cables and LV cables. This is why we were recently chosen to participate in the pilot program to design the new training course for Hauling Cable to VESI industry accreditation. 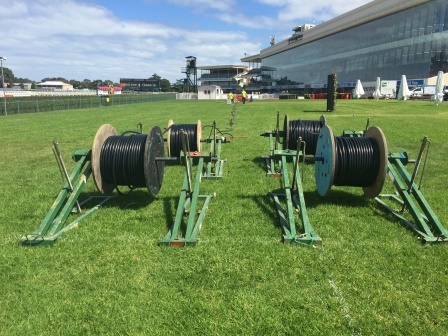 We are the experts when it comes to Cable Hauling in Melbourne. 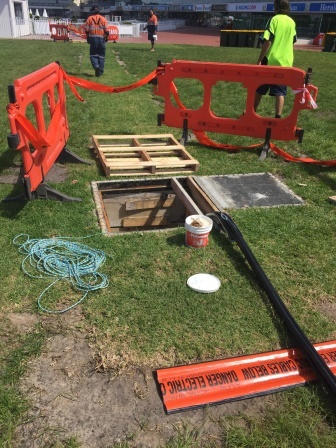 With many years experience hauling cable for both the electrical distribution industry and also the private sector, we have the knowledge and equipment to install your cable safely and without damage. By using rollers and cable guides and the appropriate cable lube we can minimize the tension on the cable and reduce the drag through the conduit. This makes it much safer to install and the cable will handle its maximum load demand. 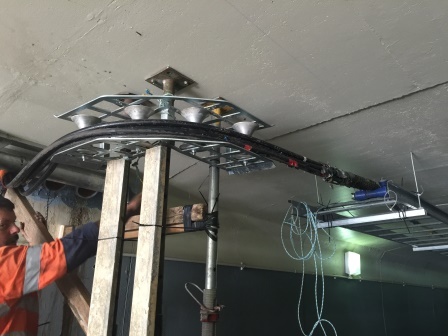 As part of the service we can provide cable drum stands, either truck mounted or ground stands up to 4.0t load rating, cable rollers, conduit guides, winches, and rope insertion for conduits up to 500meters long. We can also look over the plans to pre-determine if there are any foreseeable issues with the conduit route that may affect the cable install. 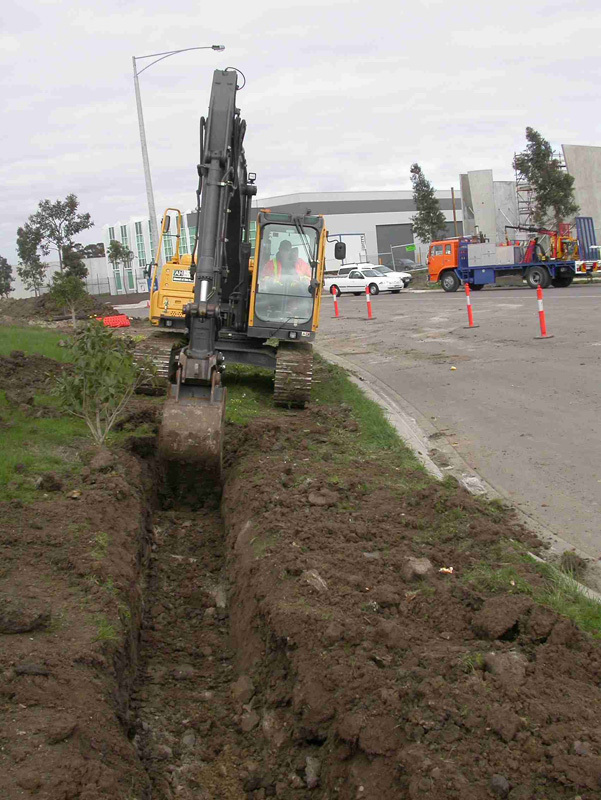 All Trenching & Boring Services will save you both money and time in the short and long term. Who will you choose? 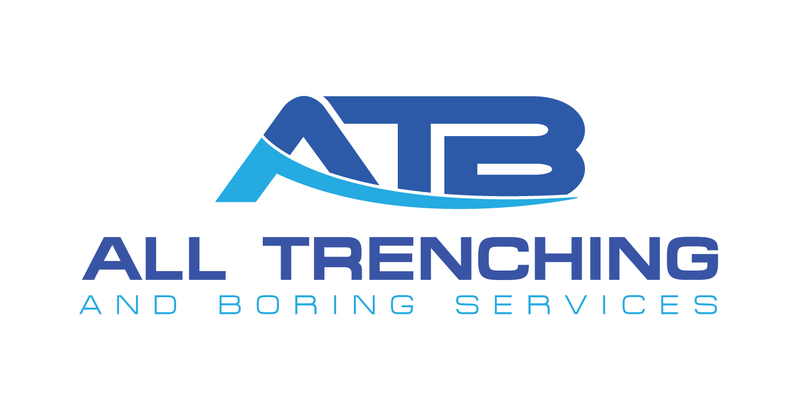 A family owned and operated business; All Trenching & Boring Services was established in 1992 and soon gained a reputation for being reliable and able to handle jobs that other people avoided. Copyright 2018 | ATBServices.com.au | All right reserved.